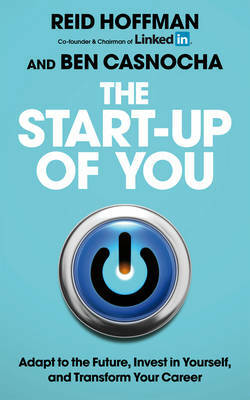 From the co-founder and chairman of LinkedIn and author Ben Casnocha comes a revolutionary new book on how to apply the strategies of successful entrepreneurship to your career: in other words, how to run the 'start-up of you'. In a world where wages are virtually stagnant, creative disruption is rocking every industry, global competition for jobs is fierce, and job security is a thing of the past, we're all on our own when it comes to our careers. In the face of such uncertainty, the key to success is to think and act like an entrepreneur: to be nimble and self-reliant, to be innovative, and to know how to network and stand out from the crowd. And this is precisely what Hoffman and Casnocha show you how to do in a book that is both inspirational and supremely practical. Just as LinkedIn is the one online community that no professional can afford not to belong to, this is the book that no professional can afford to be without.